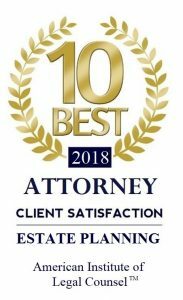 At the Piatchek Law Firm, our attorneys assist clients every day with a host of legal issues that come up during the entire life cycle of a business, from before the day you open until the day you sell your business or close your doors. These issues can include starting a business, the ongoing operation of a business, business deals and transactions, buying or selling a business, and of course, business litigation. Each business entity has a set of unique qualities that make it special and different from other forms of organization. Our attorneys can discuss their similarities and differences with you and make recommendations based on your situation. Although your choice of business entity depends upon many factors, most decisions are based on one or more of the following three concerns: liability, taxes, and funding. Liability refers to the extent to which an owner is responsible for the debts and charges against their business organization. If an owner has “personal liability,” he or she is fully responsible. Thus, creditors may reach all personal funds of the owner even if the funds are not invested in or part of the business. If an owner has “limited liability,” his or her responsibility is limited to the funds he or she invested in the organization. To select the appropriate business entity for your needs, conduct an evaluation of the risks and possible liabilities your business may incur during its operation. Both corporations and LLCs can provide limited liability to owners, whereas proprietorships and partnerships do not. All income of a sole proprietorship is taxed on the sole proprietor’s own personal income tax return at the appropriate individual tax rates. A partnership must prepare an income tax return, but the partnership pays no income taxes itself. The partnership income tax return acts as a conduit of income to the individual partners. The partnership apportions its income (or loss) among the partners and limited partners. Each partner or limited partner then includes his or her portion of the income (or loss) on his or her personal income tax return. If a limited liability company complies with technical and complex income tax rules, the income earned by the limited liability company is taxed as the income from a partnership. However, an LLC may be taxed as an “s-corporation,” which is a favorable option for many LLCs. Since a corporation is considered a separate person, the corporation prepares its own income tax return and pays income tax on its income. Any distribution of income as dividends to the stockholders is also taxed on a stockholder’s individual personal income tax return. The income tax rate for the corporation may be very different from the individual tax rate. A subchapter s-corporation is treated similarly for income tax purposes. The income taxation of a non-profit corporation is separate and very complicated. When obtaining funds from third parties, a sole proprietorship is generally limited to borrowing money (typically from a bank), and the proprietor must borrow it under his or her own credit and personally guarantee any such loan. A partnership can seek additional investments through loans, or it can solicit additional partners (or limited liability partners), who may contribute additional funds. It can also borrow funds as a proprietorship would. A corporation has more opportunities for seeking investment. It can borrow money, seek additional investors to purchase either common or preferred stock, or issue other corporate securities (such as corporate bonds). A corporation may also be able to take advantage of corporate credit, which is not associated with a stockholder’s social security number or personal credit report. A limited liability company can obtain additional funds like a partnership, but it also may be able to get corporate credit, similar to what is possible for a corporation. It is not uncommon for “members” (owners) of an LLC to have to personally guarantee loans or credit that is extended to the LLC. However, this is not always the case, and there is opportunity for a member to take loans or credit in the name of the LLC only. Because of the very technical and complex rules concerning business organizations, you should always consult an attorney for advice and assistance before selecting an entity. Please feel free to call us at 417-882-5858 for a consultation, so that we can meet and discuss your options.